Last weekend we had the joyful, and gracefilled, opportunity to welcome two new confreres into the Order. It was an honour for all the members to have the Grand Master Emeritus, HRH Charles-Philippe d'Orléans, Duc d'Anjou, preside over the service of Investiture. Matthew has been an esquire of the Order for several years. Among his many services for the Commandery, Matthew has been acting as the Secretary to the Commandery Council since 2008. He has also in the past helped to strengthen our International relations within the Order by representing the Great British Commandery on the OSLJ Pilgrimage to Lourdes in 2009 - in partnership with French Esquires and Demoiselles from the Commandery of Orléans. Having now "come of age" he has adopted the mantle as a Brother of the Order. For some time now William has been actively suporting the charitable work of the Order by his tireless fundraising in Scotland. 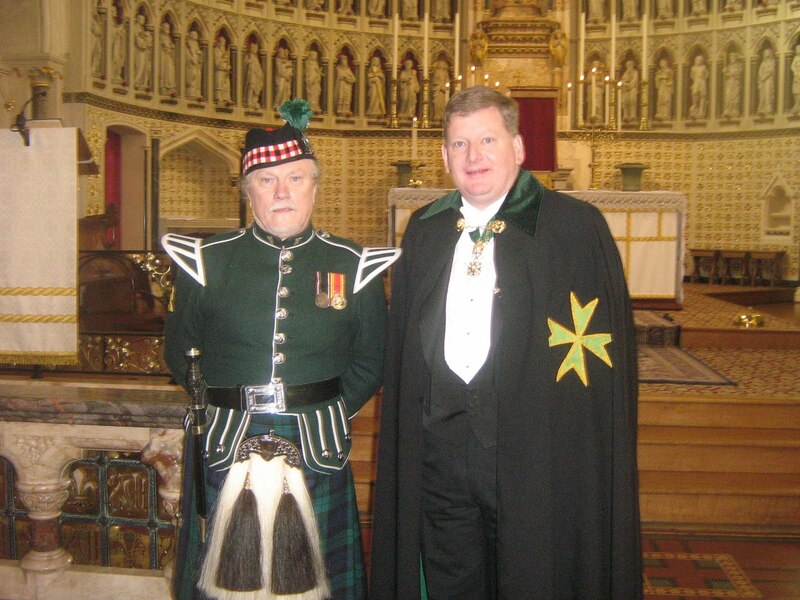 As a respected companion of the Commandery we are now delighted to welcome him to our ranks. Both Confreres will be a great asset to the Order as we move forward in the coming years.